Have you wanted to set-up a Facebook, but don’t know where to begin? Looking for some pointers on how to navigate this social media platform? 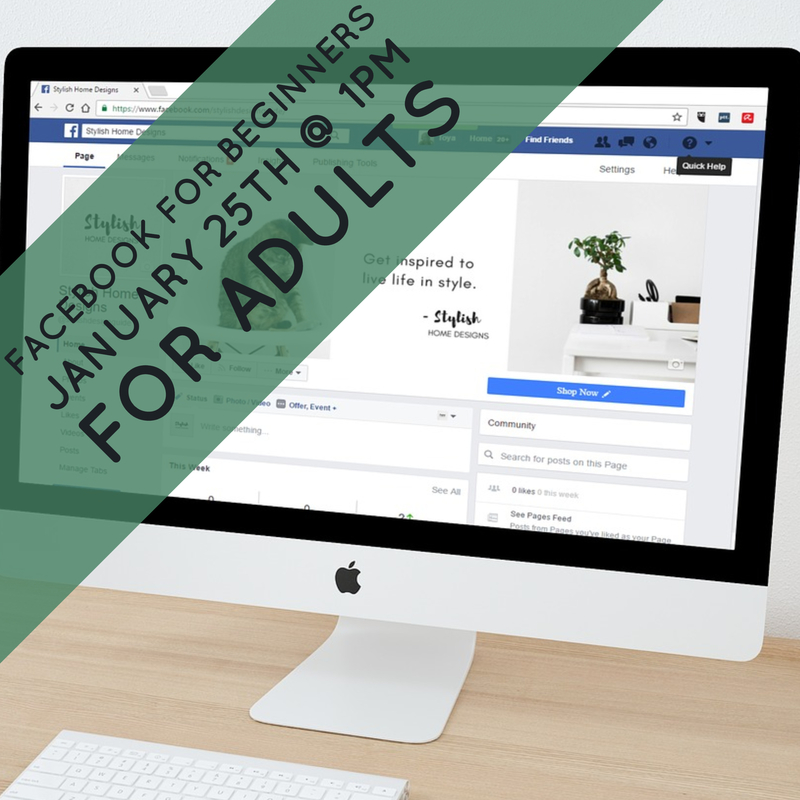 Attend AFL’s Facebook for Beginners to learn the basics on January 25th @ 1pm.